for Freshness You Can Taste! Cup Characteristics. The tea tends light liquoring, floral fresh and smooth with reasonable depth and body. Ingredients. Green Sencha tea, Rose petals, Natural flavours. Cup Characteristics. The tea tends light liquoring, fruity fresh and smooth with reasonable depth and body. Ingredients. 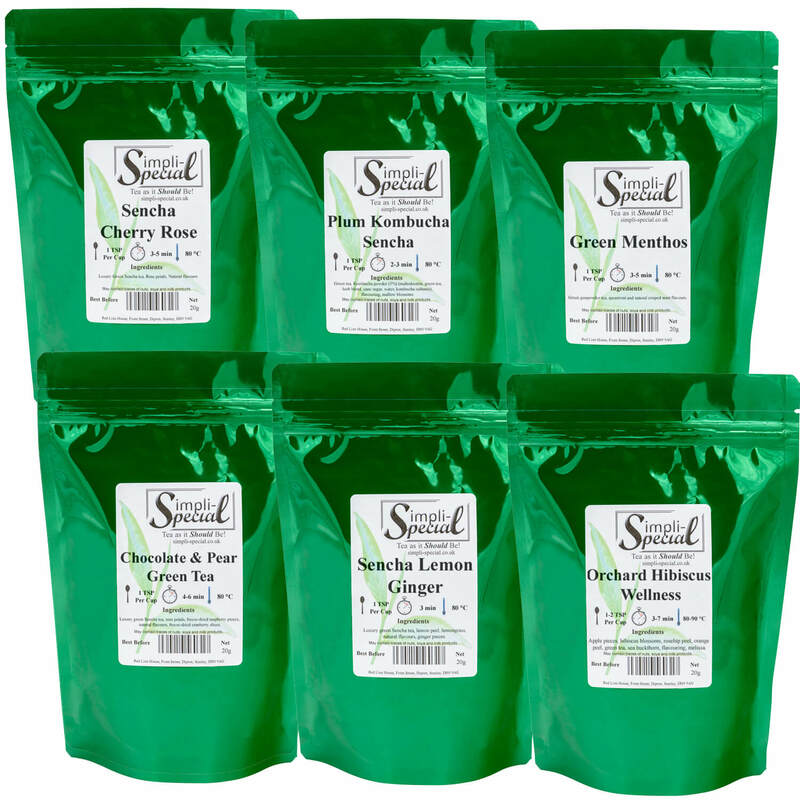 Green Sencha Tea, Sour Cherry Pieces and Natural flavours. Cup Characteristics. The tea tends light liquoring, minty fresh and smooth with reasonable depth and body. Cup Characteristics. The tea tends light liquoring, fresh and smooth with reasonable depth and body. The cranberry flavoring and subtle rose hints give the tea a wonderful exotic character. Infusion. Pale yellow green. Leaves can be brewed multiple times. Ingredients. Sencha Green Tea, Sunflower Blossoms and Natural flavours. Cup Characteristics. Light brownish yellow liquor with toasty flavour, tending sweet. Infusion. Pale green yellow. The Lemon flavoring and subtle Ginger hints give the tea a wonderful exotic character. Ingredients. 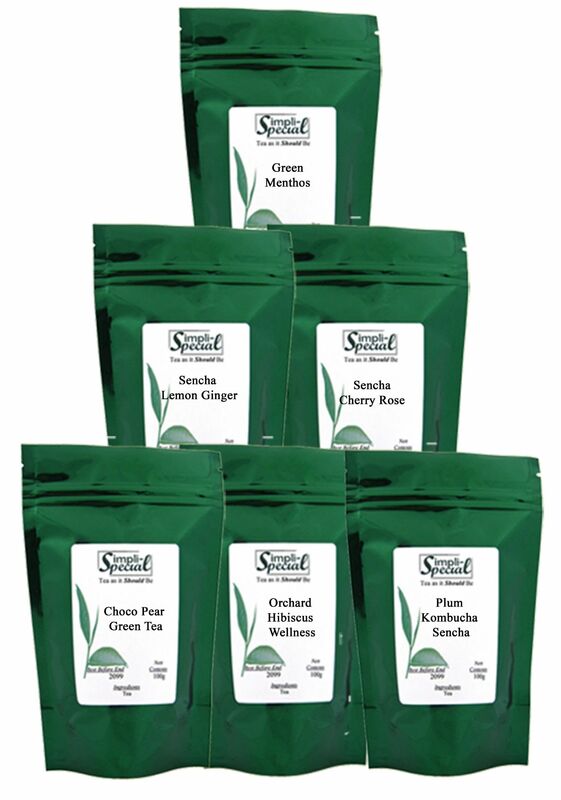 Green Sencha tea, Lemon peel, Lemon grass, Natural flavours, Ginger pieces. Cup Characteristics. A green tea with surprising body, the Lemon flavoring gives the tea a wonderful refreshing character. Ingredients. Green Sencha tea, Lemon peel, Lemon grass, Natural flavours. The origin of the word 'Wellness' is to be found in the terms 'Well-being' and 'Fitness'. Together these concepts are the current definition of a healthy, conscious and vital way of life which is based on the well-being of body, mind and soul. One of it's main focuses is great care in the dealings with nature and natural products and the simple integration of this concept into everyday life. The choice of precious ingredients and gentle treatment thus contribute to the creation of tasty, yet beneficial products. Ingredients: Apple pieces, Hibiscus Blossom, Rosehip Peels, Orange Peels, Green tea, Orange Slices, Sea Buckthorn Berries, Balm Leaves, Natural Vitamin Flavouring and Multi-vitamin Granules (see declaration). These teas can be used repeatedly - about 3 times. The secret is to use water that has been boiled and then allowed to cool to 80'-90'C. Place 1 teaspoon in your cup let the tea steep for about 3 minutes and then begin enjoying a cup of enchantment - do not remove the leaves from the cup. Once the water level is low - add more water until the flavor of the tea is exhausted. 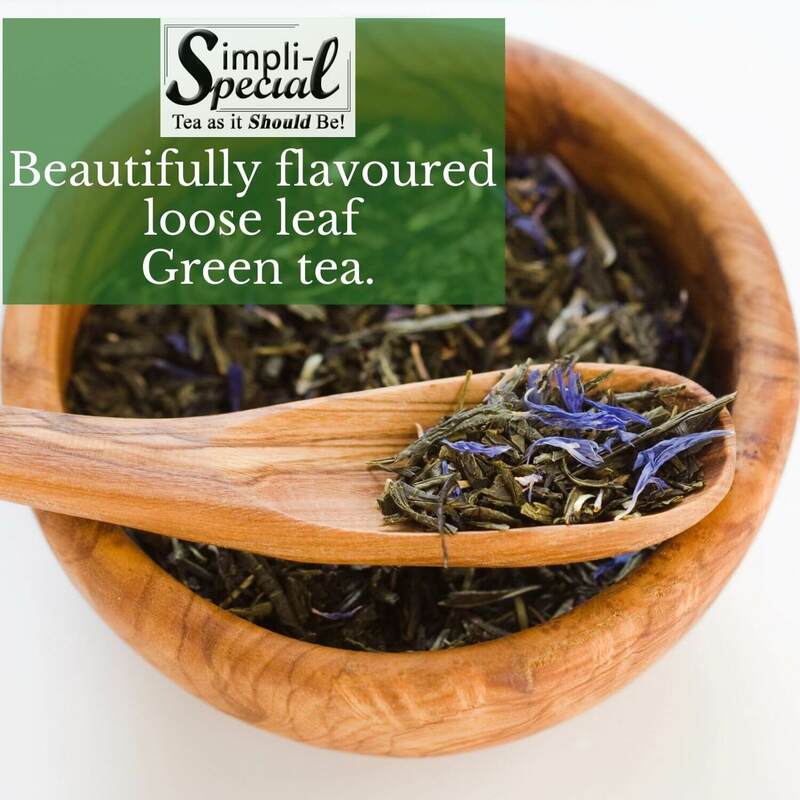 Alternatively as with all top quality teas, scoop 2-4 teaspoons of tea into the teapot, pour in boiled water that has been freshly drawn and allowed to cool slightly, cover and allow to steep for 2-4 minutes (to taste), stir, pour into your cup but do not add milk or sugar since green tea is enjoyed ‘straight-up’. Top up the water until the flavour is exhausted. · Bring fresh cold water to a rolling boil. · Place 2 teaspoon for each cup into a jug. · Pour near boiling water (80 to 90 degrees) into the pot, cover and allow to steep for 3 to 5 minutes according to taste. · Strain and cool. Add ice to fill.